I got a wild hair this morning and decided to make a Dutch baby for breakfast. 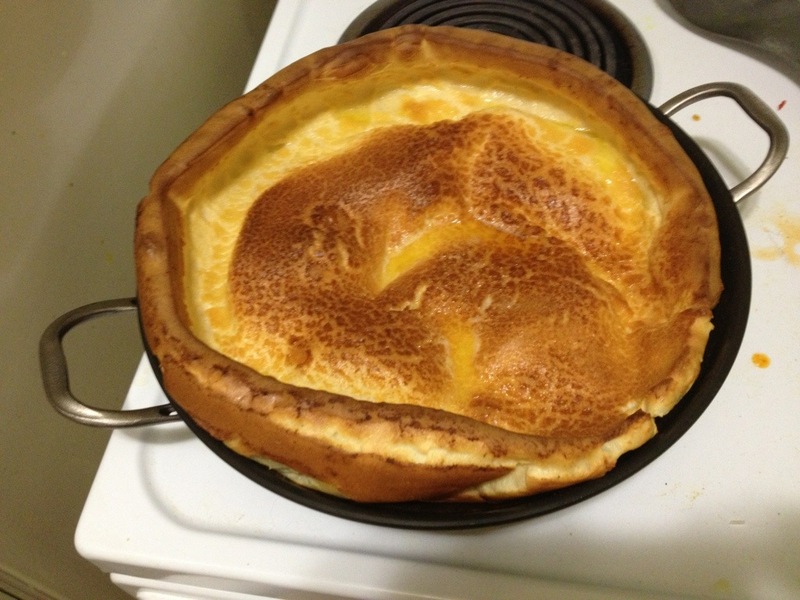 My mom used to make this for special occasion breakfasts when I was a kid, and I loved how it came out of the oven all puffy and then settle down into eggy-custardy pancakey deliciousness. We’re out of frozen blueberries, which I’d normally use to make a fruit compote… So I took our one remaining apple, cored & peeled it, and cooked it in butter & brown sugar until it made a caramel. A little salt and cinnamon and presto! Sooooo good. I cooked this one a bit too long, but it was still fantastic! Amelia ate most of hers, and Bax enjoyed his bits too. This is a good breakfast-for-dinner company-for -brunch dish, too: one fourth of a cup of flour and warm milk for each egg, and you mix it all in the blender so cleanup is easy. 5 minutes of prep, bake for 20 min, and you can make the fruit topping while it bakes. Here’s the recipe I used. 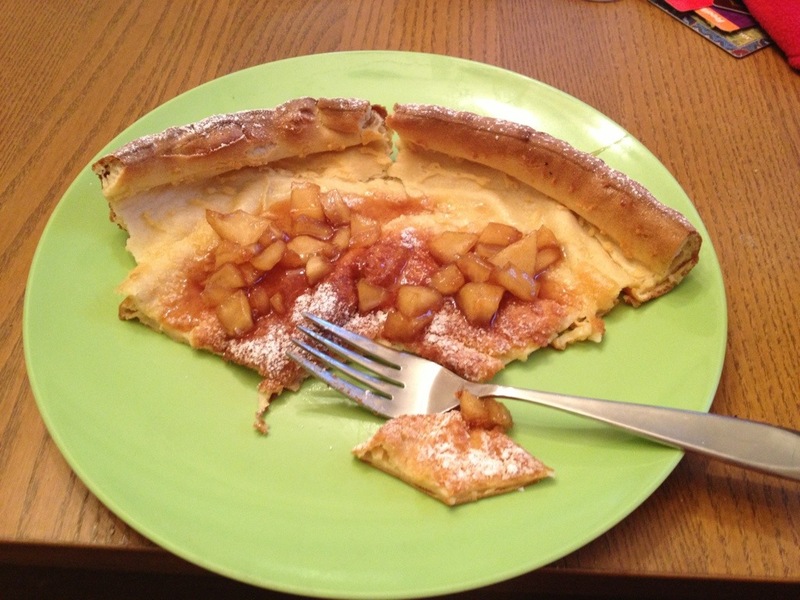 Dutch baby ftw! !